Fibaro's Home Center Lite is an automation hub lets you manage and control your Smart Home devices. 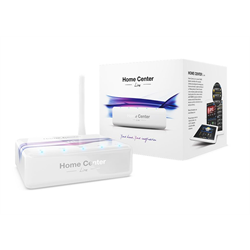 Home Center Lite supports up to 230 Zwave devices and provides control from their beautifully designed smart apps. Fibaro's iOs and Android apps are simply beautiful. Take advantage of Fibaro's unique devices like the Fibaro Swipe keypad or the Fibaro Button in addition to Fibaro and other Zwave devices to personalize your experience. 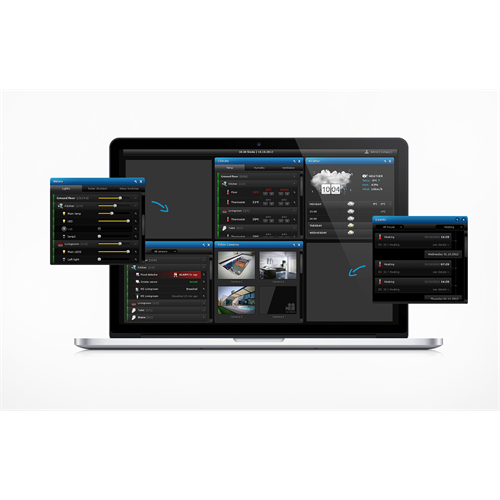 Home Center Lite also offers powerful if/then automation routines and scheduling. Additionally, Home Center Lite can track energy use reported by your Zwave devices to help you control and manage your energy use. Additional plug-ins can let you control other devices including home TV's, stereos, security and more. Use Fibaro's geo tracking to automatically turn off lights, adjust temperature or control the alarm automatically. Set up alerts to let you know about threats to the home like floods or unauthorized entry. Learn more at Fibaro's site here.